Krähenbühl Global Consulting ("KGC") provides solutions to clients in need of assistance with complex financial analysis. KGC specializes in providing technical assistance to Central Banks in developing countries on matters related to financial stability, stress-testing, and the supervision of financial institutions, but also provides financial solutions and expert testimony on a variety of topics related to commercial banking, corporate finance, corporate governance, financial institutions, real estate and small-business finance. Dr. Rebel A. Cole is CEO of KGC. Dr. also is the Lynn Eminent Scholar Professor of Finance in the College of Business at Florida Atlantic University since August 2016. He teaches graduate-level courses in corporate finance and financial institutions. His personal website can be viewed here. Prior to coming to FAU, Dr. Cole taught at DePaul University in Chicago, at the University of New South Wales in Sydney, Australia and at the University of Auckland in Auckland, New Zealand. During his career, he has taught finance to students in six different countries (Australia, Bahrain, People's Republic of China, New Zealand, Switzerland and the U.S.). Dr. Cole has published peer-reviewed articles in top academic journals that include the Journal of Finance, the Journal of Financial Economics, the Journal of Financial & Quantitative Analysis, the Journal of Financial Intermediation, the Journal of Corporate Finance, the Journal of Banking &Finance, the Journal of Real Estate Finance and Economics and Real Estate Economics. His primary areas of research are commercial banking, corporate governance, financial institutions, real estate and entrepreneurial finance. Most of his manuscripts are available for free download from the Social Science Research Network (SSRN), where he is ranked in the top 0.3% of more than 400,000 researchers worldwide. According to Google Scholar, Dr. Cole's research has been cited more than 8,500 times. According to Scopus and Web of Science, his research has been cited more than 2,000 times. Dr. Cole is also an active commentator in the media. During the past few years, he has been interviewed for stories in the Wall Street Journal, the New York Times, the American Banker, Bloomberg BusinessWeek, the Chicago Tribune, CNN Money, Forbes, the Huffington Post, NPR's All Things Considered, Voice of America News, the Washington Post, the Washington Times, and Yahoo Finance. He has appeared in television interviews on CNN, First Business News, Fox Business News, the PBS Nightly Business Report, as well as on local Chicago stations including several appearances on WTTW's Chicago Tonight. 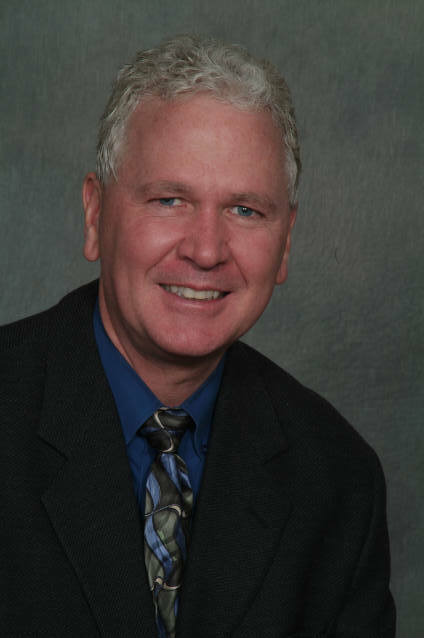 Dr. Cole received his PhD in Business Administration from the Kenan-Flagler School of Business at the University of North Carolina at Chapel Hill in 1988. For the next ten years, he worked as a staff economist at the Federal Home Loan Bank Board (now the Office of Thrift Supervision), where he worked on the 1980s S&L crisis; at the Federal Reserve Bank of Dallas, where he worked on the 1990s banking crisis; and at the Board of Governors of the Federal Reserve System in Washington, DC, where he oversaw the design, development and implementation of the System for Estimating Examination Ratings (SEER)--the Fed's primary system for offsite monitoring of banks and bank holding companies--and served as co-principal investigator for the Survey of Small Business Finances. Since leaving the Board of Governors in 1997, Dr.Cole has served as a special advisor to the Asian Development Bank, th Carribbean Technical Assistance Center, the International Monetary Fund, the Middle East Technical Assistance Center, and the World Bank, providing technical assistance and training to Central Banks in developing countries that include the Bahamas, Belize, Cape Verde, China, Ghana, Guyana, India, Jamaica, Jordan, Kenya, Lebanon, Malaysia, the Maldives, Mongolia, Morocco, Nigeria, Palestine, the Philippines, Russia, Sudan, Syria, Trinidad & Tobago, Turkey, Uzbekistan, Yemen and Zimbabwe. Dr. Cole has participated in more than 80 international missions to these countries to assist in the development of stress tests, financial stability reports, and off-site monitoring systems for commercial banks and other financial institutions. During August 2008 and May 2009, Dr. Cole was a visiting scholar at the Federal Deposit Insurance Corporation (FDIC) in Washington, DC. Follow Dr. Cole's research on Google Scholar, SSRN, and ResearchGate. View many of his television interviews. Bankrate.com (Feb. 29, 2016): What Happens When Your Bank Is Liquidated? American Banker (Feb. 16, 2015): Are the Big Banks Open for Small Business Lending? Fox Business News (Feb.10, 2012): Is the Fed Doing Enough To Fix Housing?